Move over, New York. Step aside, Chicago. No, not you, Los Angeles. In the opinion of Travel + Leisure magazine, the top city in America for 5 years running does not have a major sports team, a thriving economy, or even a handful of famous people that call it home. But somehow, Charleston, SC, the city of approximately 135,000 people on the Atlantic coast of South Carolina has earned the top spot in the U.S. for the 5th year in a row—while claiming the #2 spot in the world (it was rated #1 in the world in 2016). So what makes this famous Civil War port town so great? I recently took a trip to Charleston to see what all the hype was about. Founded in 1670 as Charles Town, in honor of King Charles II of England, Charleston is known for its rich history (the first shots of the Civil War were fired at Fort Sumptner), well-preserved architecture, distinguished restaurants, and mannerly people. It is also a popular tourist destination, receiving a large number of accolades over the past decade, including “Best City in the US” by Travel + Leisure, “America’s Most Friendly City” by both Travel + Leisure and Condé Nast Traveler and “most polite and hospitable city in America” by Southern Living. The southern charm, mysterious history, and world-class dining generally top the list of those who boast about this city. 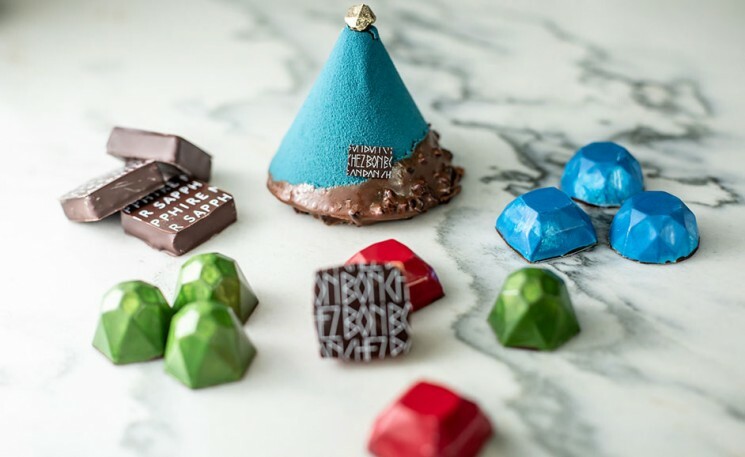 But like any trendy locale that receives critical acclaim from travel magazines and lifestyle aficionados, you need to spend a few days there—minimum—before deciding for yourself. And there really is no better time to do it than mid to late fall, when those balmy southern temperatures are beckoning to northerners bidding adieu to their Indian summer. With that said, here are a few recommendations from my own jaunt of where to stay and dine, visit and unwind in Charleston. Belmund Charleston Place exudes southern charm. 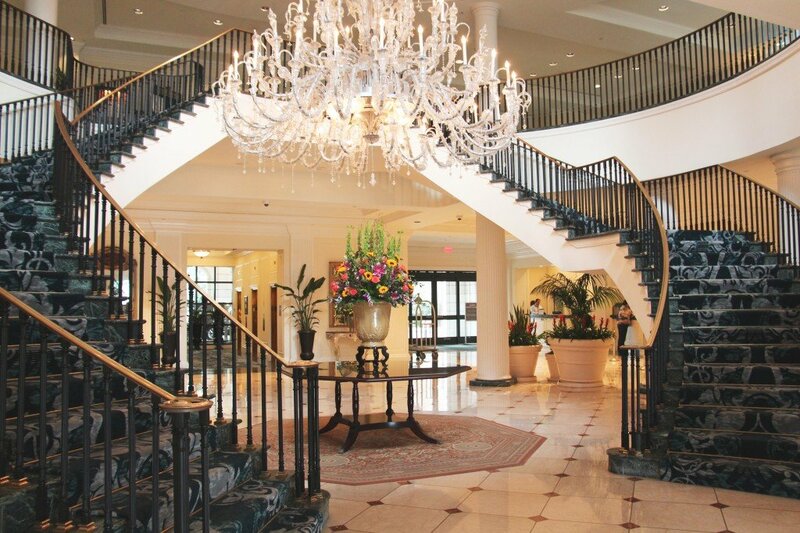 From the bronze fountain out front to the lobby with its Georgian open-arm staircase, Italian marble floors and glistening chandelier, the hotel is glitzy yet elegant with authentic southern class. If location matters, and it usually should when visiting a city for the first time, then Belmund won’t disappoint. It is in the middle of everything you want to see, including shops, restaurants, bars and cultural sites. Belmund is also home to Charleston Grill—considered one of the best restaurants in Charleston—as well as The Thoroughbred Club, a uniquely small and classy sports bar that is both unexpected and much appreciated (bless its heart). 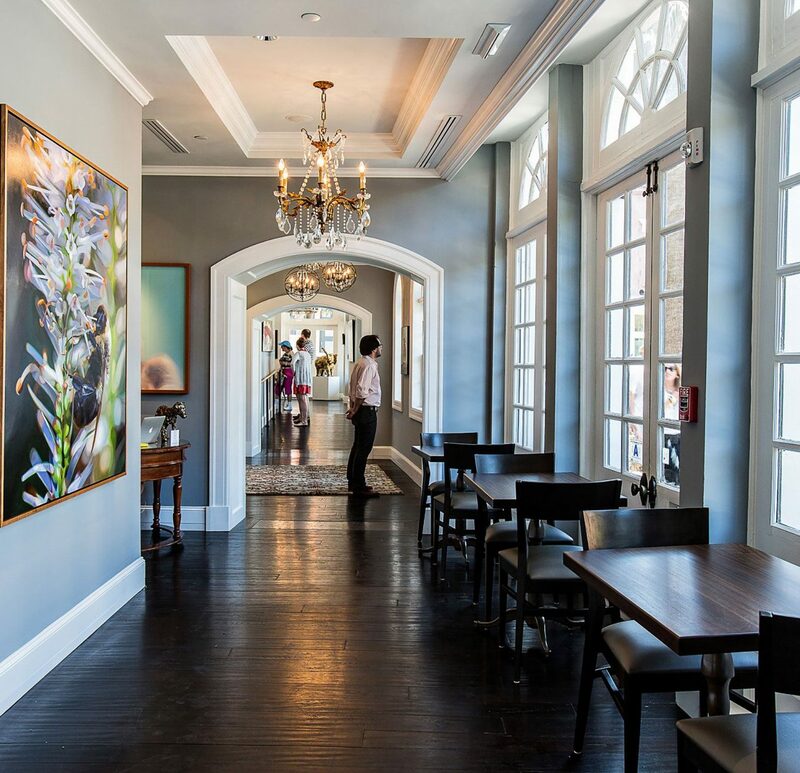 Vendue, which T+L ranks the #1 hotel in Charleston and #9 in the country, was renovated and “reborn” in 2014 to create Charleston’s first and only hotel dedicated to the arts. In addition to a rotating art exhibition, daily art tours with a specially appointed Art Docent, and a working art studio, the hotel is equipped with over 300 pieces of original art for guests to enjoy. Even the stylish boutique guestrooms accent antique furnishings with bright bursts of contemporary art. Continue your aesthetic experience at The Drawing Room, Vendue’s popular upscale eatery. Executive Chef Forrest Parker employs his own inspired vision to create seasonal and locally-sourced dishes that are as eye catching as they are delicious. And if you’re flying down from the Northeast, you can even extend your al fresco season just a tad longer at/on The Rooftop, where the views alone will make your trip worthwhile. Oh, and Vendue’s pièce de résistance? Milk and cookies are out for the taking each and every evening. Yes ma’am. The Beach Club at Charleston Harbor & Marina is the new kid on the block. Across the harbor in Mt. Pleasant, The Beach Club opened its doors in 2016 and has received rave reviews, both from the travel press and quasi travel press (i.e. Trip Advisor). Pairing good ole hospitality and luxury amenities, The Beach Club is part of the Leading Hotels of the World collection and is located just over the bridge and minutes away from Charleston’s historic district. Each guestroom features elegant décor and stunning views of Charleston’s waterfront. 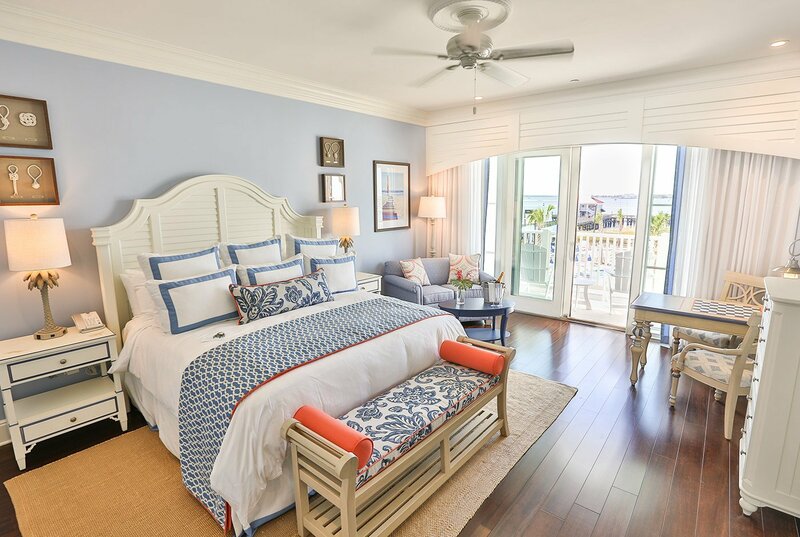 While relaxing in your room and enjoying the view might be your first order of business (it was for me), there is no shortage of options at the Beach Club to keep you busy. Thanks in part to its sheer size, The Beach Club is also able to offer custom experiences that few hotels in Charleston can match. Its staff has teamed up with Suzanne Pollak, Dean of the Charleston Academy of Domestic Pursuits, to offer guests an insider’s view of America’s favorite city. Through cooking classes, hosting how to’s, wedding planning, cocktail party etiquette and even an exclusive intimate hands-on southern entertaining lesson, Pollak will teach y’all the true meaning of southern hospitality. 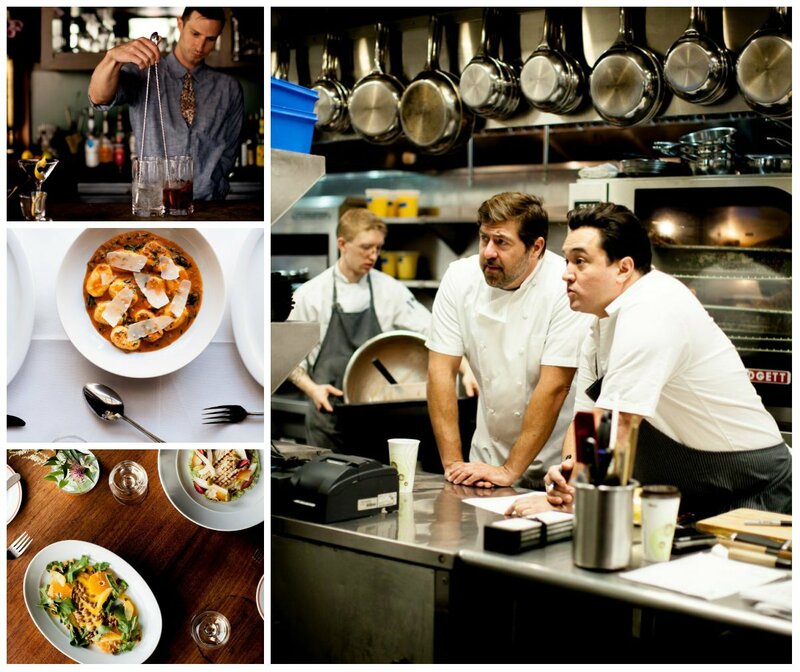 At FIG you’ll find elevated takes on Southern classics with seasonal ingredients served in an upscale-bistro setting. The restaurant prioritizes (if not exclusively uses) only locally grown & harvested goods to prepare an array of innovative menu items. Indulge in their smaller yet decadent plates, like sautéed mushrooms, fish tartar with whipped avocado, or their famous chicken liver pâté, or go big (but don’t go home just yet) with the ricotta gnocchi topped with lamb Bolognese or Suckling Pig. The options abound and the “Food Is Good” at FIG. It’s not often you see a restaurant whose two locations are in Charleston and Nantucket but that’s the case at 167 Raw. And if you’re dealing with super fresh seafood it’s understandable why they chose these two locations. Take a seat on one of the bar stools for a feast of Atlantic coast seafood, from fresh oysters to yellowfin tuna tacos to voluminous lobster rolls, dense with claw meat and light on mayo—bringing some Nantucket magic to the Lowcountry. Of course scoring a seat at this tiny, subway-tiled bar is half the battle, so don’t go at peak hours and expect a short wait. Reservations are unfortunately not an option, so employ some nice southern manners and be patient. When you walk in and are immediately welcomed by none other than the owner and proprietor, Ken Hall, you know there is something a little different—in a good way— about Halls Chophouse. 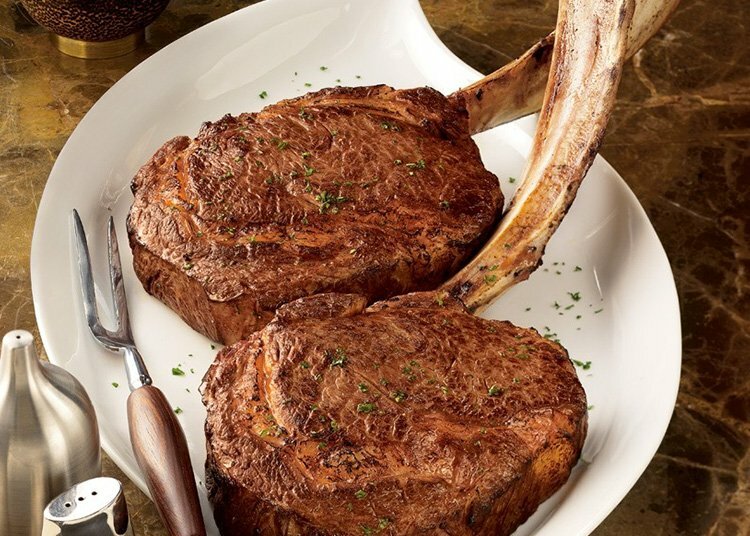 This family steakhouse restaurant located in the Upper King District of Charleston has quite a following. Great hospitality, great American cuisine and a dining experience that is second to none in Charleston make Halls a true must visit if you’re willing to splurge a bit. Favorites? The New York strip steak was as good as any I have had in NYC, while the ribeye was out of this world, with all the flavor you expect yet a perfect texture and almost filet-like meatiness. For more casual eats and drinks…Red’s Ice House and Fleet Landing have you covered. Red’s, across the harbor in Mt. Pleasant, is perfect if you’re looking for a friendly spot to enjoy a cold beer & fresh local seafood in a laid back setting. Located on historic Shem Creek in Mt. Pleasant, the original Red’s is the perfect spot for taking in Lowcountry wildlife and scenic Charleston sunsets. The food is not the draw here—rather cold beers and people watching is—but step out onto the deck overlooking Shem Creek and you’ll understand why it’s such a popular spot. Fleet Landing, is also all about the scenery, but the food sure isn’t shabby either (try the crabcakes). 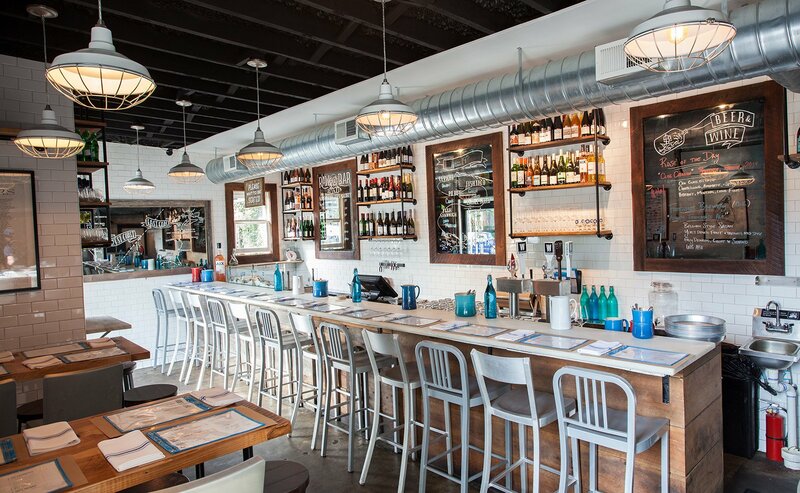 Offering unobstructed views of the harbor from a 1940s retired naval building, Fleet combines a commitment to quality food and sustainable practices with a delightful nod to the area’s maritime heritage. One of the best ways to relax and explore the Lowcountry is from the seat of a kayak. Paddling through the calm saltwater creeks nestled behind the aforementioned Folly Beach, you will discover the natural wonders and wildlife that call this area home. You can also get up close and personal with wading birds, oyster beds, barrier islands, wild dolphins and more. Coastal Expeditions, whose slogan is, “You Haven’t Seen Charleston, Till You’ve Seen It From The Water” (some truth there) is one of the top outfitters in the area. Their three hour outings are the most popular, taking you into the saltwater estuaries to see dolphins, pelicans, ospreys and maybe even a sea turtle or manatee. For a more practical jaunt around the city, there is always just good ole walking. And if you like history—and Charleston has plenty of it—there is no better way to get around the city than on foot. After all, downtown Charleston—also known as “the peninsula”—is only about 4 to 5 square miles. But in this area you can find at least 100 buildings from before 1776 and 1,000 from before 1861—state buildings, churches, mansions, and townhouses—almost all of which come with historic plaques explaining exactly what their function was roughly 200 years ago. 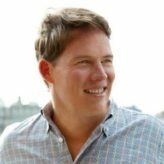 While the resources on your iPhone should be enough to steer you in the right direction, there is nothing wrong with leaving your walkabout to the professionals. 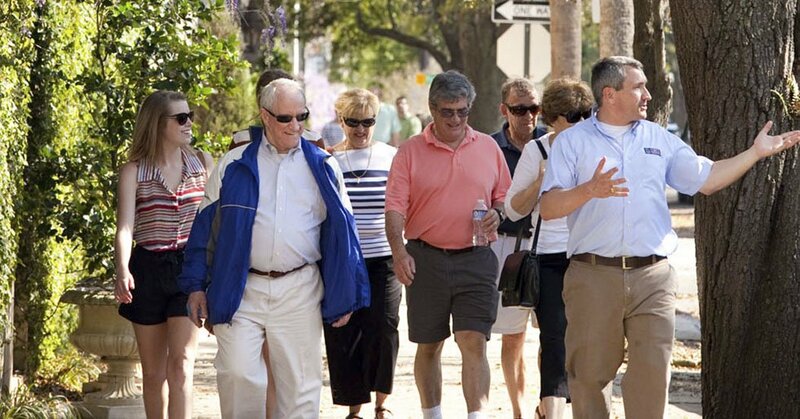 Charleston Strolls—recommended by both the NY Times and Southern Living—will take you on a historic walking tour of Charleston (where carriages and motorcoaches are not allowed) that highlights both Charleston’s rich history and colorful past. You can’t enjoy the complete Charleston experience if you don’t pay a visit to one of its beautiful beaches while in town. 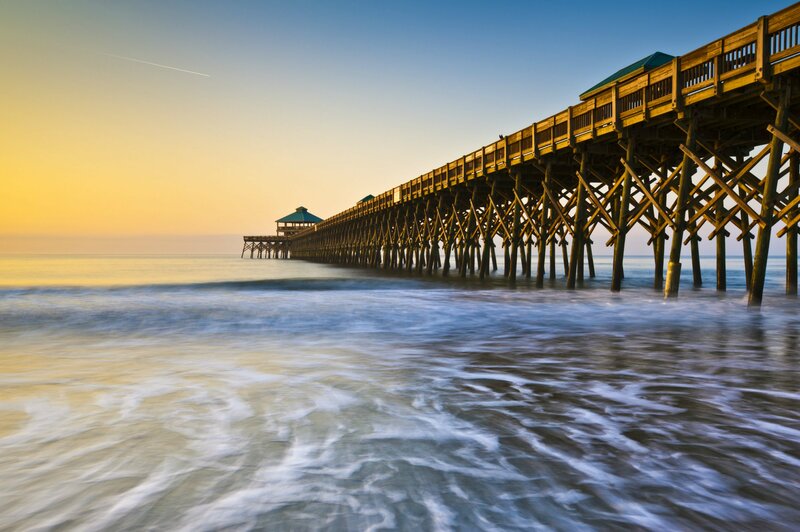 While there are 3 public beaches within a few minutes drive from downtown Charleston, Folly Beach is by far the most revered. Though the water will be a bit cool for swimming by November (though peak temps are actually reached in September), the beaches in Charleston are some of the prettiest in the country and there is never a bad time to visit. Water lovers can also enjoy kayaking, paddle-boarding, boating and fishing, while thrill seekers will enjoy the 72 suspended obstacles at Wild Blue Ropes Adventure Park. Perhaps known a little more for its golf courses, Kiawah Island is also a beach haven—rated the second “Most Romantic Beach in America” by National Geographic Traveler. 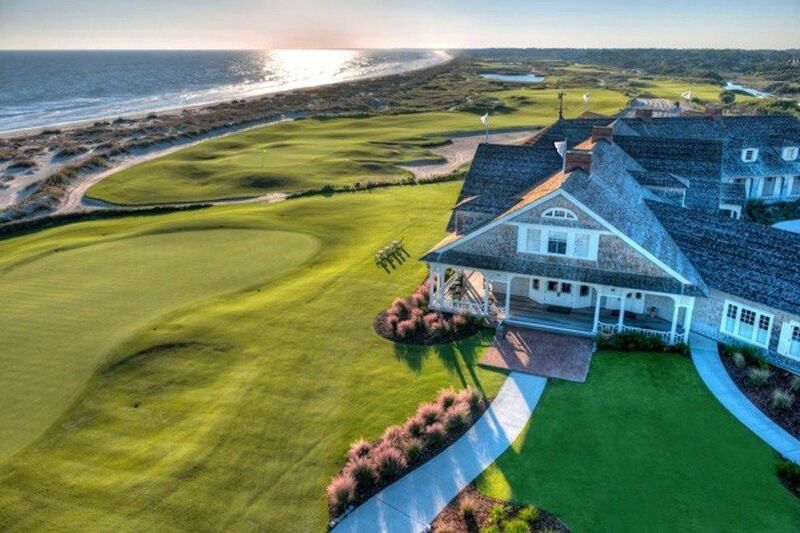 Kiawah Island is unique among the barrier islands because—unlike Hilton Head or Myrtle Beach—commercial development is virtually non-existent here. This island was meticulously planned to be environmentally sound and very relaxing. A semi-tropical climate hosts alligators (often seen basking in the sun on the banks of Kiawah’s many lagoons), sea turtles, bobcats and some very friendly dolphins. Along with over 40 miles of bike trails, there are five world-class golf courses, several tennis courts, and 10 miles of the most beautiful beach on the Atlantic coast. Kiawah is a gated community with restricted public access, but absolutely a site to look into if you’re making the trip. 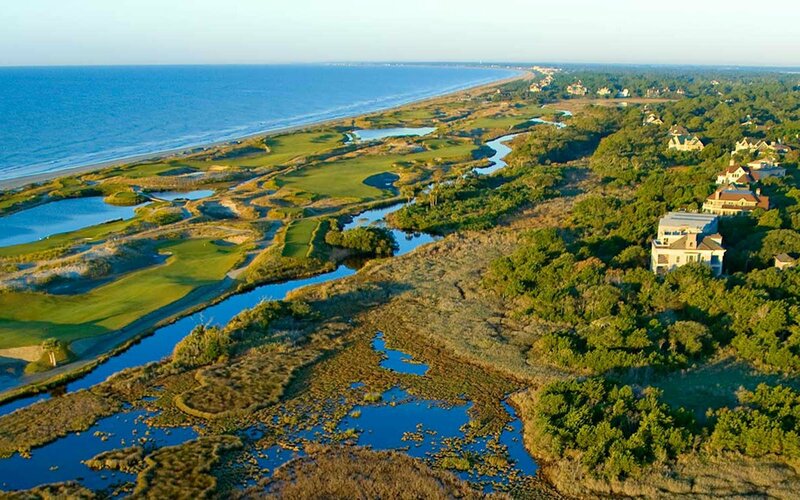 Kiawah’s beaches are world-renowned and so are its golf courses. Named the #1 golf resort in the world by Travel + Leisure, Kiawah Island Resort is home to nine elite courses. Among the nine is the Ocean Course—home to the 1991 Ryder Cup matches (known as the “War by the Shore”), the 2012 PGA Championship (won by Rory McElroy) and will be host to the 2021 PGA Championship. Where should I stay on Kiawah you ask? Because so many people have second homes on Kiawah that lay vacant much of the year, there are plenty of options to choose from on Airbnb at very reasonable prices—especially considering what you get. If you really want to splurge though, you can’t go wrong with the world renowned The Sanctuary. The exquisitely designed oceanfront hotel, just 21 miles from downtown Charleston, captures the spirit, history and charm of the beautiful south while still offering 255 spacious rooms and suites. Their king rooms are among the largest on the East Coast with the smallest measuring 520 square feet. 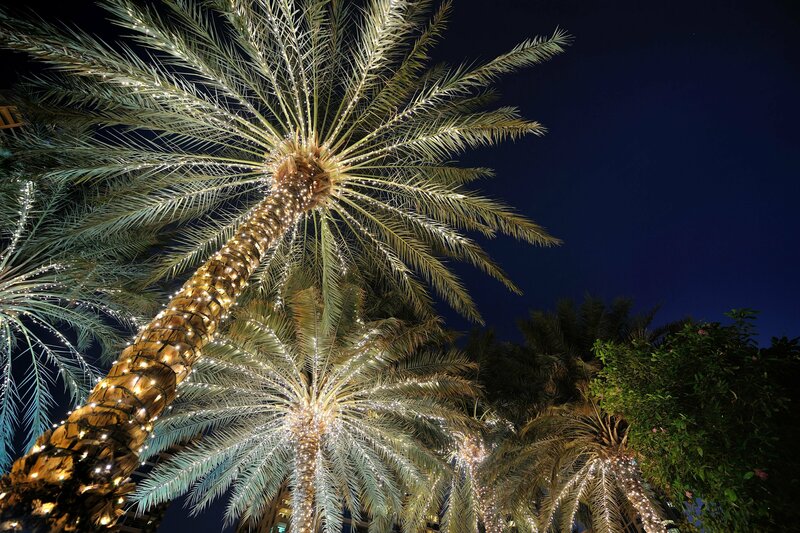 Maybe it’s the way the historic homes are grandly decorated for Christmas, or the unique view of Palmetto trees adorned in twinkling holiday lights. Pick your own reasons, but it’s hard to deny that Charleston is a near perfect blend of intimate historical ambiance and the luxuries and activities of a metropolitan city. Some seasonal favorites among locals and visitors include The Nutcracker, performed by the Charleston Ballet, the Holiday Walking Tour—a must for out-of-towners looking to see the city—and the Annual Progressive Dinner at Circa 1886 at Wentworth Mansion, one of the city’s grandest venues. Also held at Circa 1886, in it’s 15th year, is the Dickens Dinner. A night at Circa 1886 is always an indulgence, but on the night of the Dickens Dinner (Thursday, December 8th) guests will enjoy a live retelling of the classic Charles Dickens’ Christmas Story along with their meal. The annual dinner—while notably festive—is just as much about the food, with a lavish four-course holiday menu influenced by the tale itself. Well, what are you waiting for? Temperatures are dropping, wanderlust is rising and Charleston is ready and waiting to charm you. —Chelsey Pieretti contributed to this article.